I live in South Carolina (USA) and my friend from Australia just sent me a care package with a small jar of Vegemite. I had never had it before, but was very curious. Well.., I opened the jar and the smell was “odd” and not really like anything I’ve ever smelled. I figured I’d try a small dab on a spoon just to get a sense of what I was dealing with. Wow…, that stuff has a kick !! It reminded me of……, something. But I couldn’t put my finger on it. But the following day it hit me. I remember where I’ve tasted that taste before….., and it’s embarrassing to say. But when I was a kid…,I was a curious lil’ fella…,and as I’m sure many kids do (maybe)….,I tried some cat food. I know, I know……that’s crazy & nasty. But kids do crazy stuff. Anyway…., I swear Vegemite tastes almost exactly like the moist cat treats that come in those small bags. 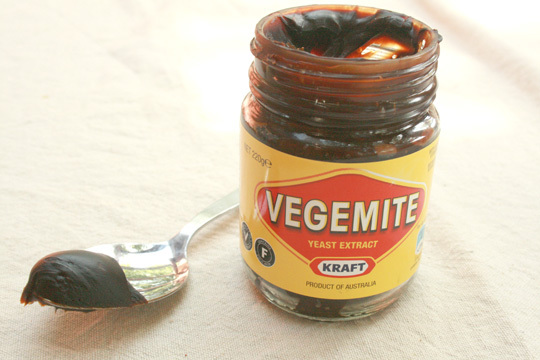 I’ve since tried the Vegemite on buttered toast and it’s much better and not as potent. I like it. But it really has to be used sparingly. I’m a born and bred Australian and I eat vegemite and cheese sandwiches for lunch at work nearly every day. I also used to have them for school lunch almost every day, well sometimes my mum and dad would put lettuce on them as well. I have it on toast, and I’m not one of the ‘less is more’ people, I definitely have about 0.5cm of it spread on bread/toast. I also have honey sandwiches which i thought was normal until I went to uni (I think honey sandwiches is a Tasmanian thing. I’m from Tasmania – that island off the south – and we have leatherwood honey. I’m not sure who else in the world makes or eats this. Again, you just get used to leatherwood honey or thick vegemite/cheese/lettuce sandwiches then you go to a place like Melbourne/Syndey and even other Australians think you’re insane). Anyway, what I wanted to post was my mum used to go to school with this girl who would apparently drink vegemite soup. 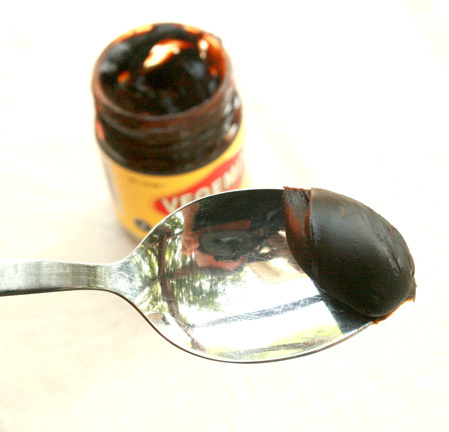 I asked what vegemite soup was…and it was..vegemite in hot water. Only in rural Tasmania!!! 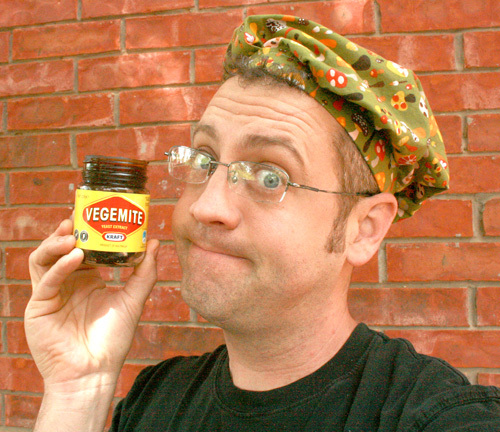 People who eat vegemite don’t get bit by mosquitos. Fleas and ticks stay off dogs who are fed it also. Great article and great tips!